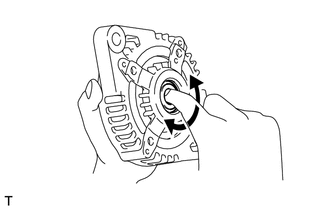 (a) Hold the generator rotor using SST, and turn the clutch pulley clockwise to check that the outer ring locks. 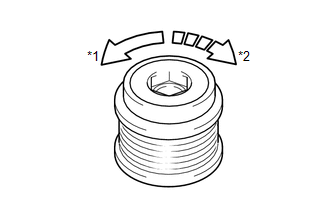 If the result is not as specified, replace the clutch pulley. If the bearing does not rotate smoothly, replace the bearing. (a) Using a vernier caliper, measure the length of the exposed brushes. If the exposed brush length is less than the minimum, replace the brush holder assembly. 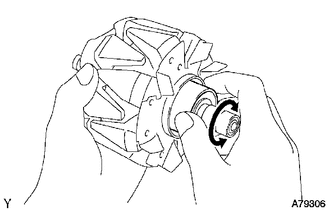 (a) Check that the generator rotor bearing is not rough or worn. If necessary, replace the generator rotor assembly. 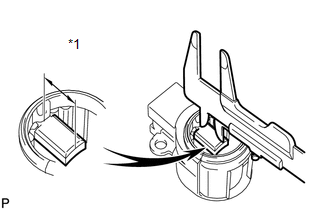 (b) Check the generator rotor for an open circuit. 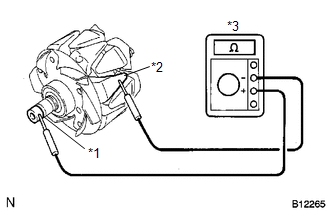 (1) Using an ohmmeter, measure the resistance between the slip rings. 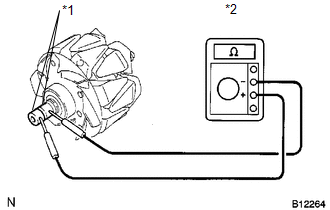 If the result is not as specified, replace the generator rotor assembly. (c) Check the rotor for a short to ground. (1) Using an ohmmeter, measure the resistance between the slip ring and rotor. 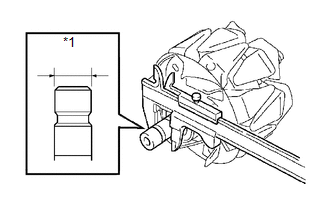 (d) Using a vernier caliper, measure the slip ring diameter. If the diameter is less than the minimum, replace the generator rotor assembly.